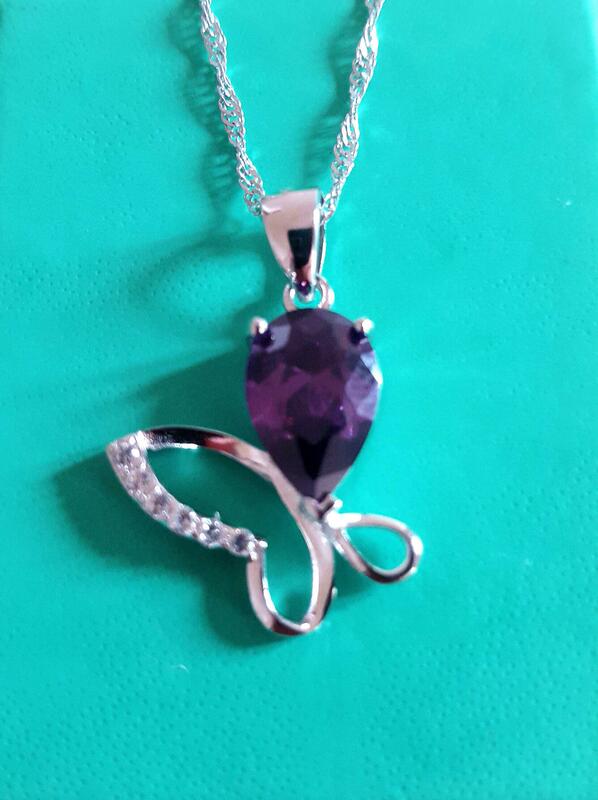 This beautiful 925 silver plated high quality cz purple crystal butterfly pendant comes with an 18" twist necklace and looks truly stunning. It's sure to attract attention and a great opportunity to raise awareness of fibromyalgia. ** Please note - this item will be sent recorded delivery.